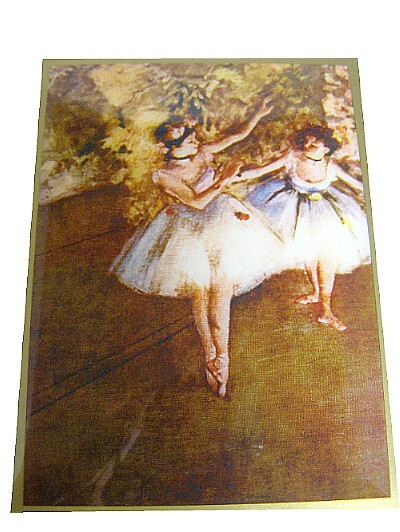 musical Jewellery box with picture by Edgar Degas. 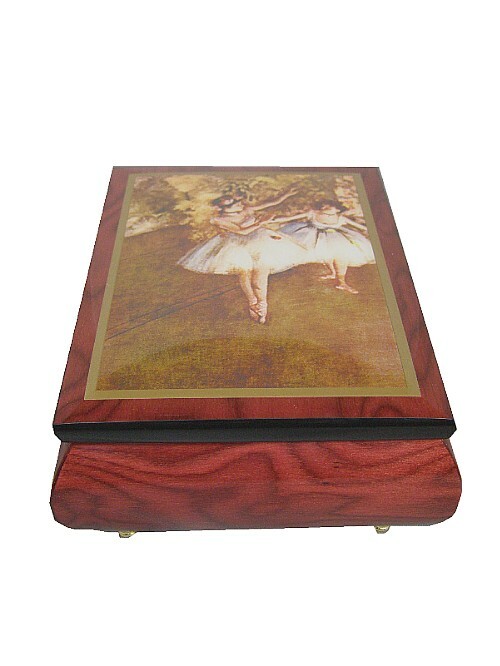 This wooden musical jewellery box is hand made in Italy by Ercolano and has a picture on the lid of "Two Dancers On Stage" by Edgar Degas (1834 - 1917). 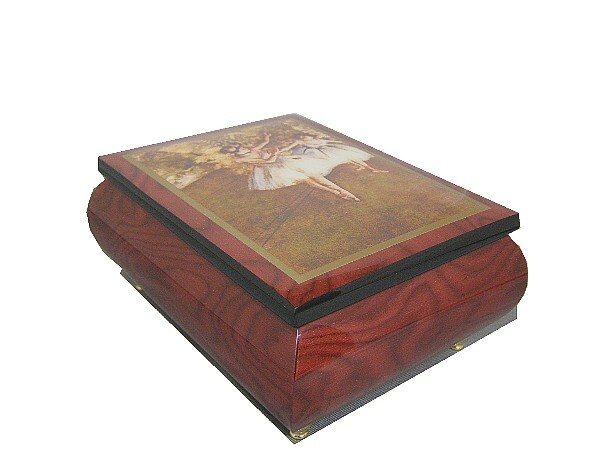 The clockwork 18 note musical movement is wound from underneath and when the lid is lifted the music plays. The musical movement is wound from underneath. 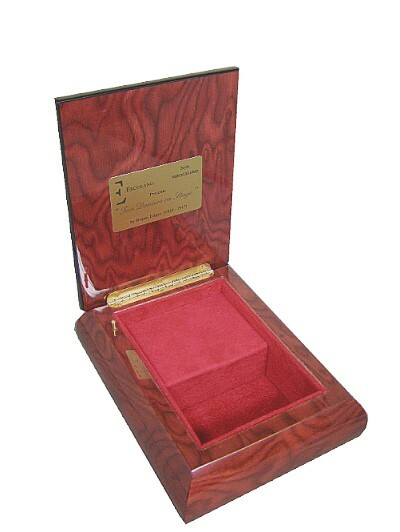 Approx Size : 115 x 148x 65mm. Select a tune from the list above.